Soil water and nutrient content are important soil properties. Traditional absolute methods – volumetric and gravimetric methods for determination of soil moisture and soil sampling for laboratory testing of nutrients – are labour-intensive and, where numerous samples are required, expensive. For frequent sampling it is more effective to measure soil electric properties instead: dielectric permittivity to assess soil water content, and in conjunction with electrical conductivity to compute the concentrations of electrolytes in the soil. In the case of non-salted soils most of the electrolytes presumably constitute plant nutrients. 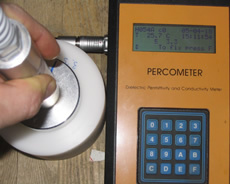 Measurement of soil electrical properties is not a trivial task and demands to use a suitable apparatus like the percometer. Electrical conductivity (EC) is influenced by soil moisture and by the salts dissolved therein. As direct determination of the amount of soluble salts (TDS) in the soil per unit mass (mg kg–1) is complicated, electrical conductivity of the saturated soil paste extract, ECe, corrected to a temperature of 20°C to give ECe20 in µS cm–1 is used as the measure of soil salinity. Soils with ECe20 < 2000 µS cm–1 are generally considered non-salt-affected soils. 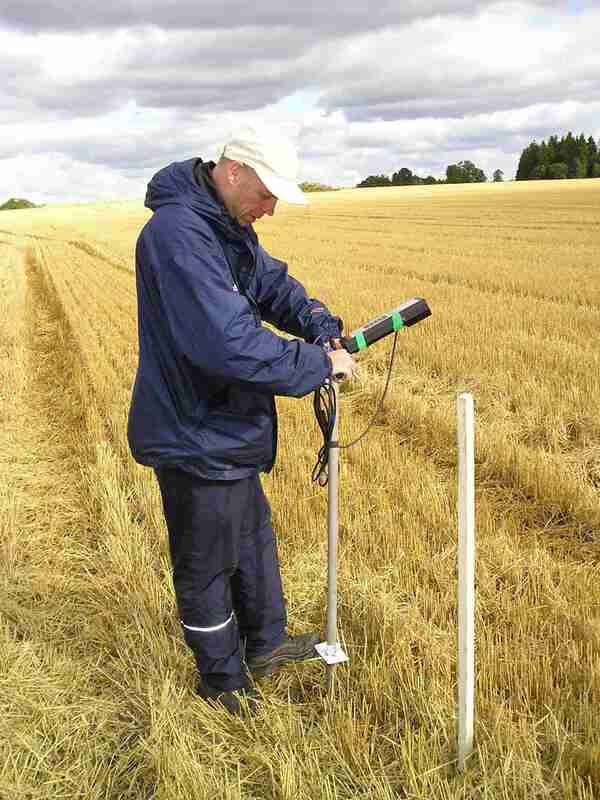 With any instrument, only bulk soil electrical conductivity ECa, depending both on dissolved salts and on moisture content, can be measured directly in the field in situ. To compute salinity ECe20 from ECa, a semi empirical model based on the theory of Hilhorst and corrected by Plakk on the basis of experimental data is currently used at percometer soil measurements.